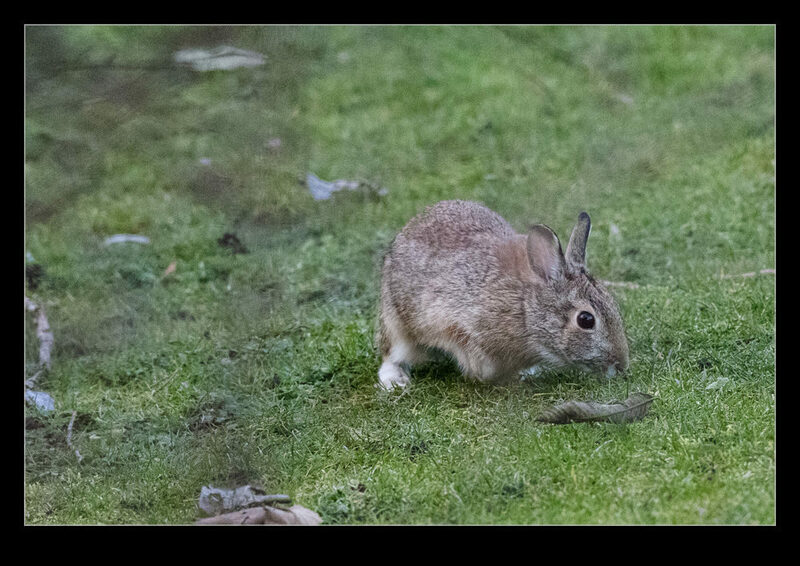 I had stopped off by Lake Washington to get some late afternoon photos and, as I walked back up to the parking lot, a couple of rabbits were snacking along the path. Since the camera was still out, I figured I would get some quick shots. Unfortunately, a family was following me up the trail and the kids spotted the rabbits. 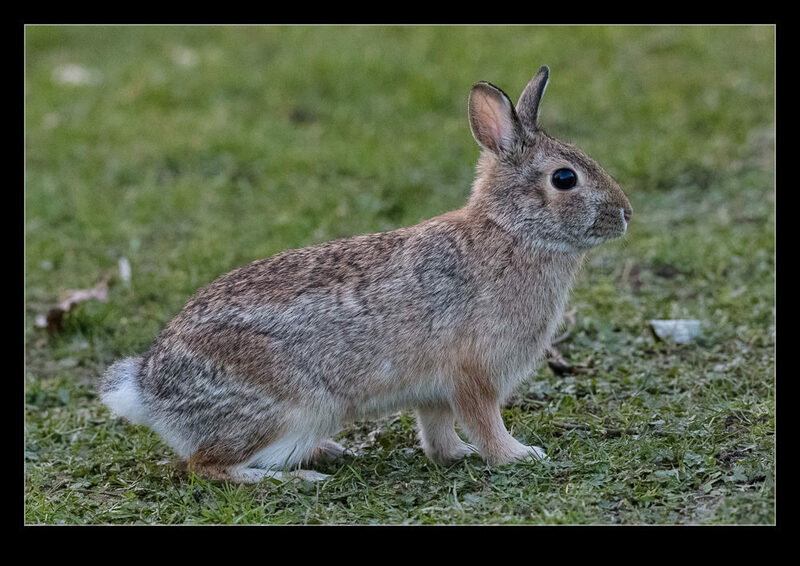 Being young kids, their instinct was to run to the rabbits – it won’t surprise you to know that the rabbits did not hang around to see if their intentions were good. I did get a couple of shots before they had vanished. 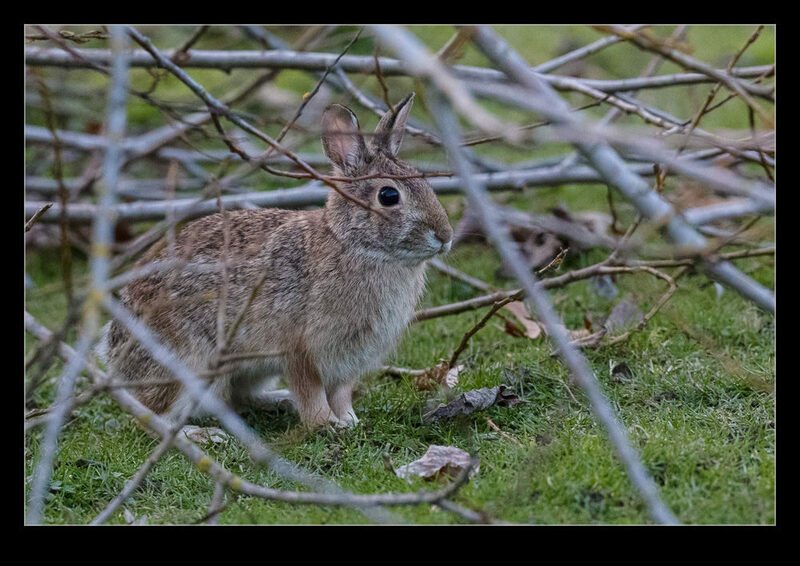 This entry was posted in Pacific Northwest, photo, wildlife and tagged bunny, Kenmore, photo, rabbit, washington, wildlife. Bookmark the permalink.